"A "Good Buy" if You Consistently Have to Recover from Mistakes with Women"
Covers the biggest 'frustrations' typically come up against by beginners, provides practical and effective advice on what to do in each situation. A bit pricey for an audio download. If you are getting frustrated with some of the situations covered in this product a good investment of your money. The nice thing about this interview volume is that it tackles something that every guy gets stressed about the most. The situation where he feels he has messed things up with the girl, and is not sure where to go next. As they make a point of saying in the interview, this happens to everyone at sometime or another. And many situations are recoverable if dealt with properly. The content is focused on recovering from mistakes you've made. So they describe the typical mistakes, and how they come about. They do talk a bit about how to pre-empt mistakes so they don't come up in the first place, but primarily the discussion is on how to recover from mistakes. They hit the nail on the head with everything they go over. The advice is all practical and not very complicated to implement. A lot of the advice has been well tested and represents popular approaches used by the majority of dating coaches to handle these issues. So it isn't all that innovative. If you've read a lot of dating advice don't expect too much new stuff, except for a few nuggets of gold. 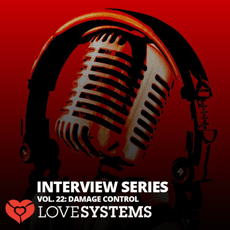 The value in this interview is that they've taken the best approaches to 'damage controlling' and packaged them into one short interview for you. With respect to flaking, don't expect too much from the advice. They offer some good tips on what to do to recover the best, but it isn't likely to help you to recover more than in 10 or 20% of the situations. That isn't a reflection on their advice - it is just the nature of the issue of flaking, which is an issue you need to address pre-emptively. For better flaking advice, that covers the important pre-empting part The Ultimate Guide to Text and Phone Game is currently the best product we've looked at. A minor fault is that the interview could have been structured better to make it easier to follow and ensure they hit all the points. It sounds pretty informal the way it is delivered. If they'd done this it would have turned out a top professional product. Because the content is all about 'damage control', which is mostly relevant for beginners as they are learning and make more mistakes, and it is all practical - I'd recommend beginners get this product if they are consistently running into problems in the situations I've outlined above. It will save you getting frustrated - it is a little pricy, but since it can provide you relief from that frustration - it's really a "no-brainer".